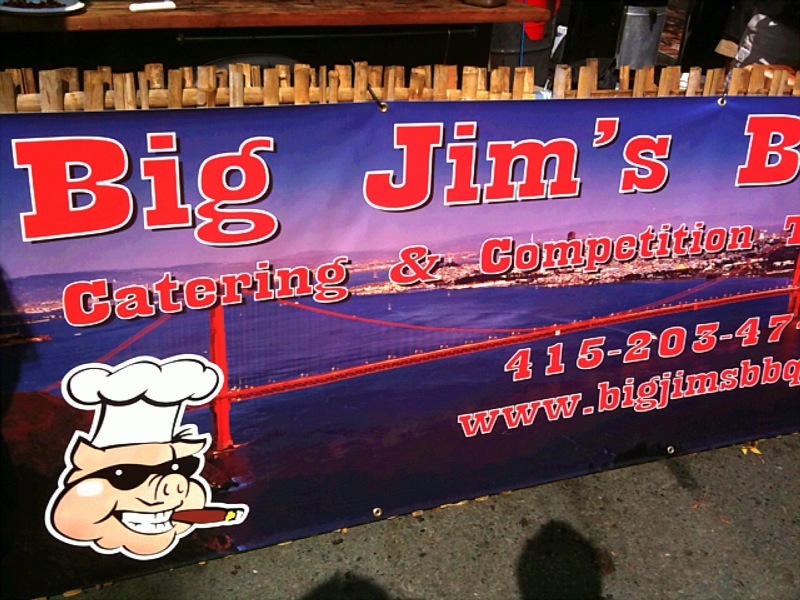 We popped into the Blues and Barbeque Festival yesterday in San Rafael and decided to try Big Jim’s ribs. They were incredible – the sauce was kicky, savory, deep and soulful. I have no idea how it was prepared by I could eat it by the gallon. And the ribs – a nice smokey bark coated the outside and the meat was rich, flavorful and tender. Seriously good. Dominic even said, “These are some of the best ribs I’ve ever had!” Turned out that Big Jim’s won for best ribs, best brisket and best overall flavor. 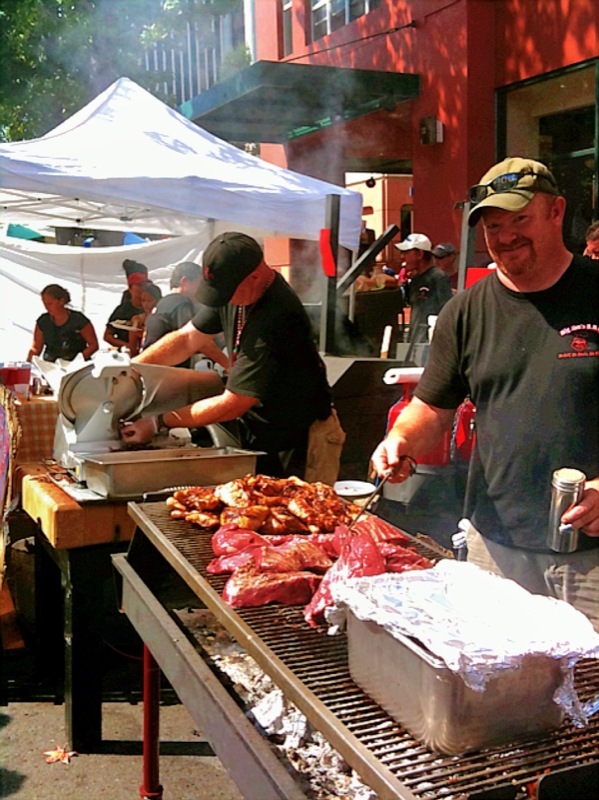 Rockin’ live blues, a warm and sunny day, excellent barbeque, and entertaining vendors. A great way to spend a Saturday afternoon.